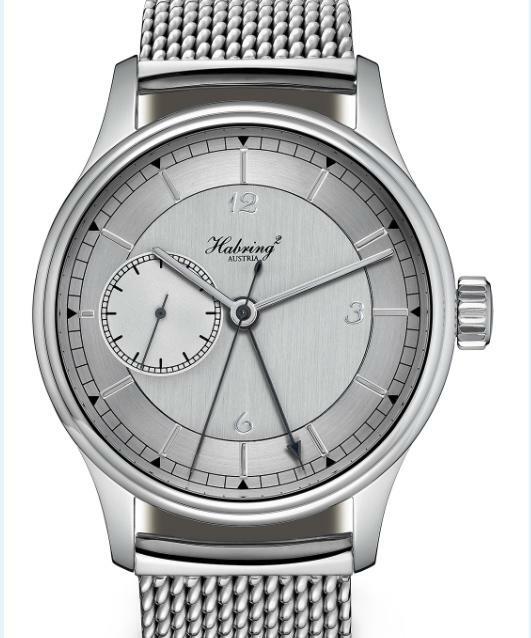 From an article by Michael Brückner regarding the new look Habring² Chronographs. 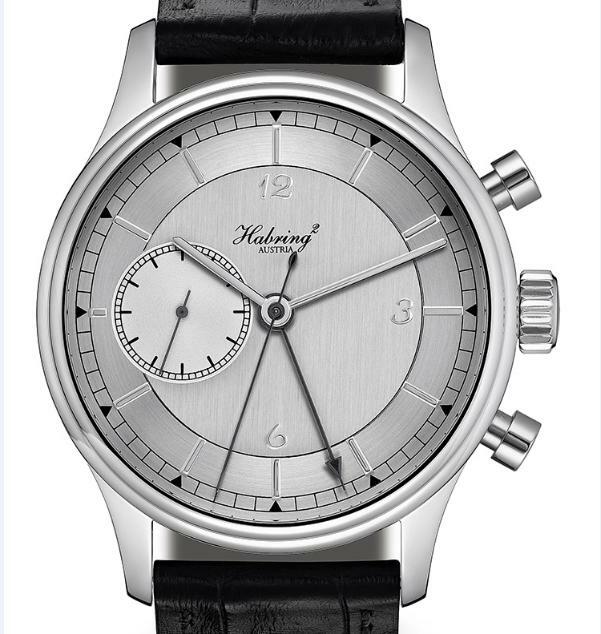 The classic chronographs from Habring² have the familiar chronograph face with the counters on the left and right of the dial. But long live the alternative: various chronograph models from Habring² are now available with a central minute counter (“ZM” from the German “Zentraler Minutenzähler”) in the middle. 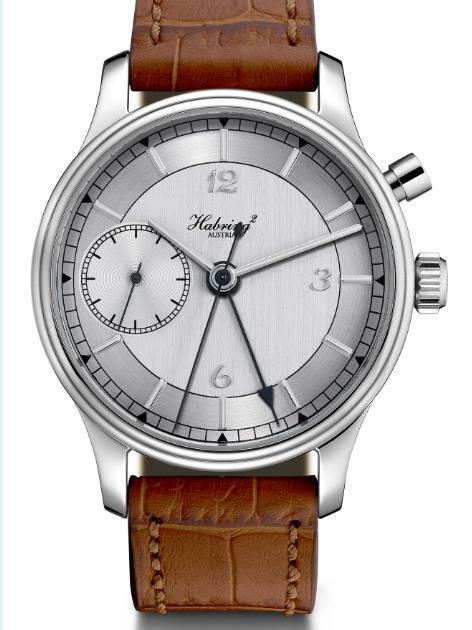 The dial has the typical Habring² design of a simple three-hand watch. The only difference: a fourth hand at the centre indicates the enhanced functionality of the chronograph. When stopped, the minute counter hides discreetly underneath its counterpart which is responsible for displaying the stopped seconds. Together the two components complete their revolutions to measure time intervals of up to 60 minutes in the familiar scheme of time display. The dial looks "neat and tidy" thanks to the CM and even has something of an understatement about it. The central minute counter is also easier to read. The central minute on Habring² watches is available for the 42 millimetre chronograph with buttons, the chrono COS, and for the 36 millimetre chronograph with single-pusher. The COS ZM also does without another classic feature of chronographs: the buttons. 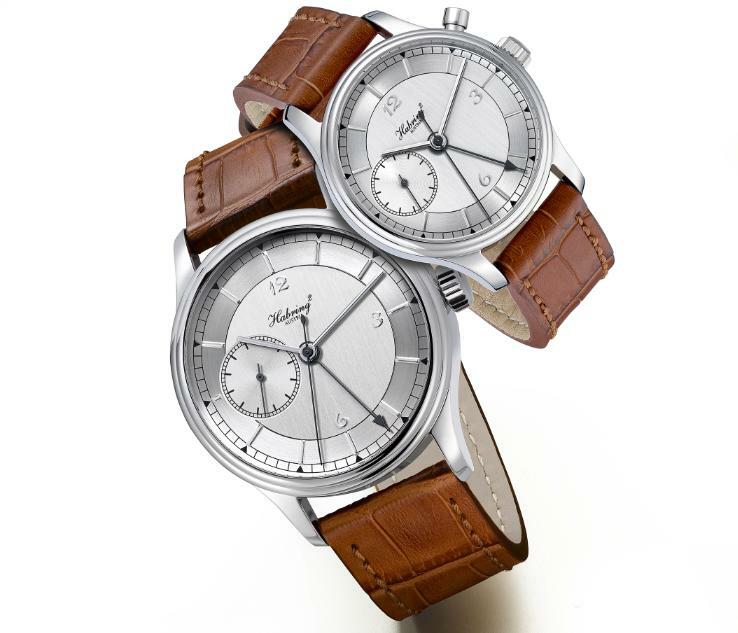 Habring² introduced the patented chronograph COS in 2008. It is the first chronograph in the world that is controlled exclusively via the crown. The COS has meanwhile proven that there is room for innovative solutions suitable for everyday use in addition to the familiar – and not always unproblematic – button solutions. 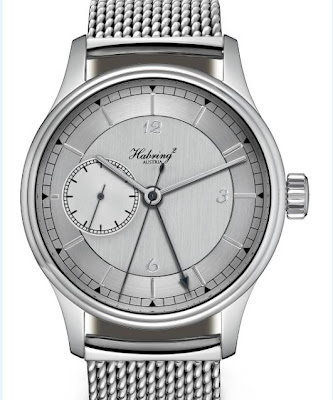 Thus, the COS today is one of the best-selling models manufactured by Habring². Austria's sole watch manufacture then took things a step further and added the central minute counter to the COS. The COS ZM proves that a simple "chronograph complication" does not necessarily require a martial exterior and can be discreetly integrated in a reduced design concept. And this is a central theme common to the entire Habring² collection. As are the other basic values of the COS ZM: a classic, three-component 42mm case made of 316L stainless steel or titanium ; water-resistant up to a 5 bar; metal dial in silver with rhodanised, gold-plated or blue appliqués or in grey and black with rhodanised appliqués filled with Super-Luminova. Especially noteworthy is the entirely new chrono in 36mm casing. There is one single button at 2h for start, stop and reset. The little chrono by Habring² is so a perfect fit for ladies as well as for gents who prefer rather smaller sized watches.